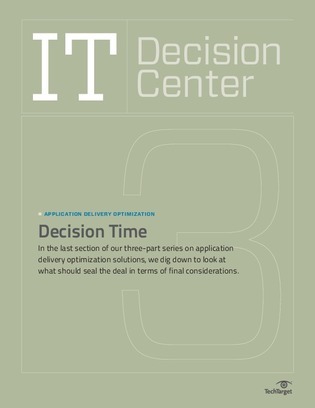 When it comes to choosing an application delivery optimization (ADO) solution, it is crucial to understand your specific business requirements and match them to the best vendor or service provider possible. This final section of SearchEnterpriseWAN.com’s three-part guide on ADO provides a checklist of steps and considerations you should address prior to sealing the deal. View now to learn more!